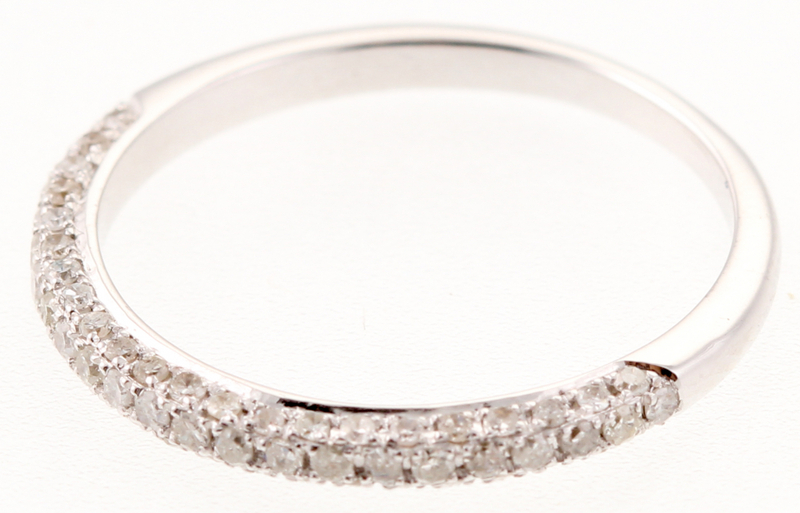 This is a 0.42 Ct Certified Diamond 14k White Gold Ring (size 7.5) with a total gross weight of 1.94 grams. Main: 0.22 Cts Round diamonds 1.2 mm, H-I, I1-I2 no treatment. Side: 0.20 Cts Round diamonds 1.0 mm, H-I, I1-I2 no treatment.